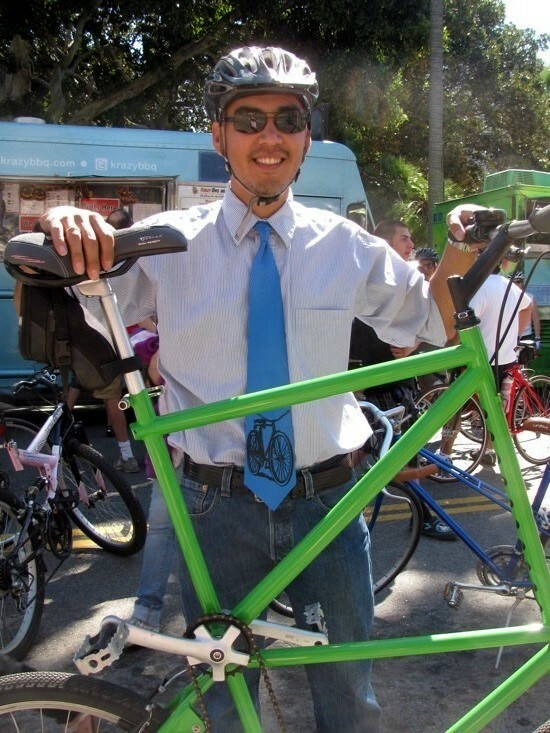 I found this picture of me and my tall bike on LA Weekly. "CicLAvia, like most L.A. events, is a fab chance for people-watching, and though the expected bike jerseys, shorts, and plain T-shirts were in abundance, a few people are beginning to write the style guide for what will hopefully become not only a regular event, but a smashing spectacle. Here are eight different trends spotted on the streets at CicLAvia Sunday." That's awesome. You can now add "trend setter" to your resume.